A summons calls the Norse farmer to quit the field and take on the role of a Viking raider. 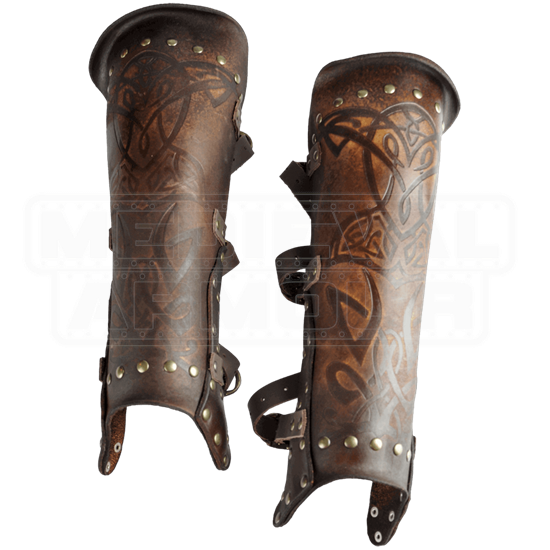 Having encased the torso and arms in durable leather armour, the warrior defensively clads the shins in the Odomar Viking Leather Greaves. This 9-10 oz. leather leg armour reinforces a sturdy defense in LARP combat. The flared edges and antique-brass plated rivets enhance protection. The handcrafted design of the greaves allows for both comfort and mobility. Three adjustable straps in the back secure the guards to your shins. 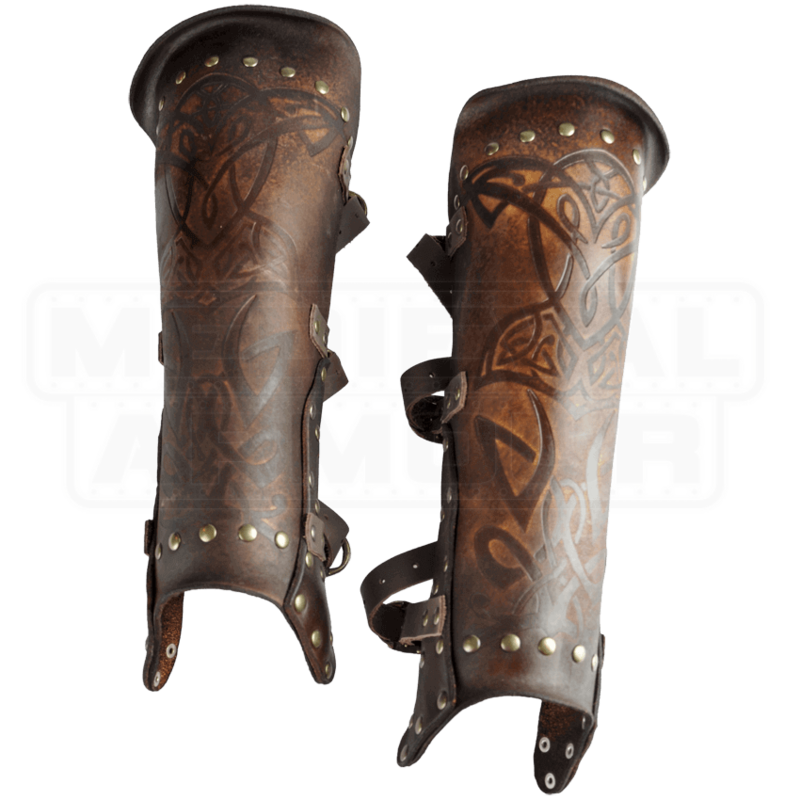 Elegant Nordic vine patterns enhance the style of the Viking who wisely chooses to add this fine pair of greaves to an epic armour set.